Mojang were in talks with Oculus to build a version of Minecraft for the Rift – right up until the VR company announced their acquisition by Facebook, and Notch publicly pulled the plug. Given a few months’ distance and an unending stream of brilliant VR demos, however, Notch has started to come around. Whether Rift development comes to pass now is “up to the minecraft dev team” – but they’re no longer restricted by the qualms of their boss. 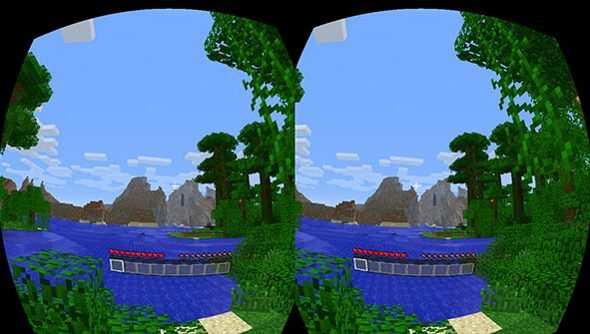 The now-cancelled Minecraft for Oculus Rift would have been free, and was designed to promote VR as a platform. But the idea had only been batted back and forth between Mojang and the Rift designers for two weeks before Facebook bought Oculus. “I have the greatest respect for the talented engineers and developers at Oculus,” he said at the time. “It’s been a long time since I met a more dedicated and talented group of people. Have any of you lot played around with Minecraft’s existing VR mod, Minecrift? Did it, y’know, work?